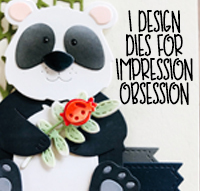 Welcome to day 4 of 5 of the Impression Obsession Spring 2018 Release Blog Hop! 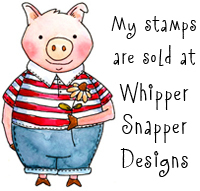 All of the new stamps you'll be seeing on the hop are available now at www.iostamps.com If you find yourself lost or needing to start over, hop on over to the Impression Obsession Blog for a complete list of designers participating. To create today’s project, I used Perfect Pear (C19738). The hop will run for 5 days (January 22-26) with a list of participating designers posted on the Impression Obsession Blog each day at 6am EST. Visit the participating IO Design Team members blogs (only one comment per blog please) for a chance to win one of five $25 gift certificates. Comment entries will be open until 9pm CT on Sunday January 28th and all winners will be announced on the Impression Obsession blog on Monday January 29th. Good luck! 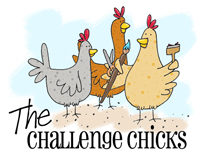 Now, get ready for a wonderful dose of inspiration and check out what the other team members created. Have fun!! Next on the hop is Daniela Dobson! Love this tag, the little bells are perfect! really sets off the pear. Great tag! Love your style! This shows the versatility of this stamp. Love the color combo and all the sparkle! That’s a super lovely tag ! So pretty--I like your coloring and the sparkle. Cute pear stamp!! Love seeing all the new IO stamps!!! Super cute tag. Our anniversary is coming up soon. Thanks for the inspiration. So pretty! Love the colors and embellishments! Oh yes...it is a pearfect card! I like how you colored the pear. It looks like the one I had for breakfast :) Real. Cute tag!! Love your coloring! Fun to see the pear used as a Christmas theme! Your bows & embellishments are always so dang perfect!